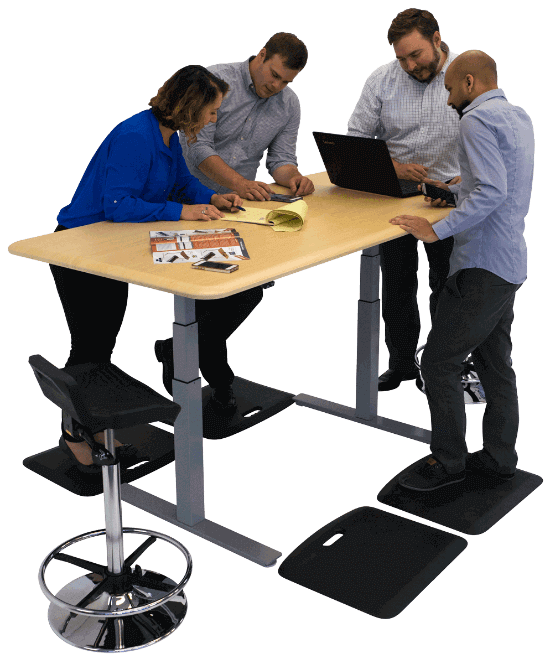 iMovR's Synapse line of sit-stand tables enables your whole team to stand collaboratively. Perfect for any type of meeting, from conferences to scrums. 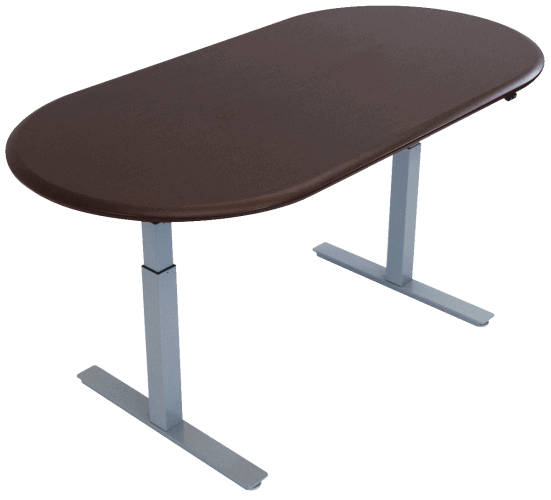 Make an adjustable-height table the centerpiece of your active workplace. 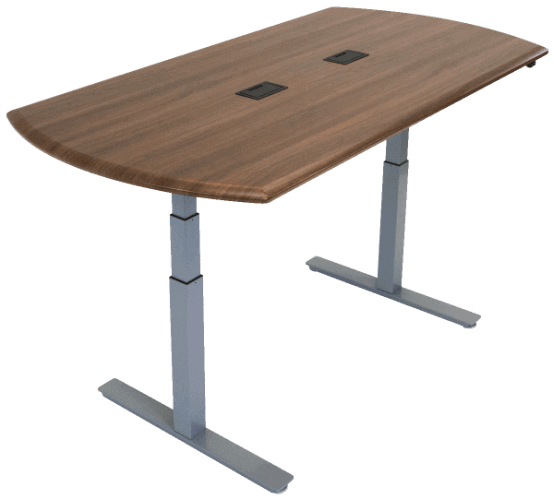 Synapse Multi-Purpose Tables feature a standard tabletop, bringing adjustable-height functionality anywhere. Make it your own with your choice of eleven finishes, four shapes, and more. Outside the office, Synapse shines as a large, adjustable-height work surface that can be used for a variety of purposes, from arts and crafts to dining and entertaining.